Hosho Student Grade is similar to Hosho, but slightly heavier and coarser. 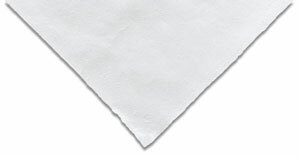 Sheets measure 17" × 22" (approximately 43 cm × 56 cm), and are acid-free, with four deckle edges. Weight is 95 gsm. ™ Legion Papers is a trademark.